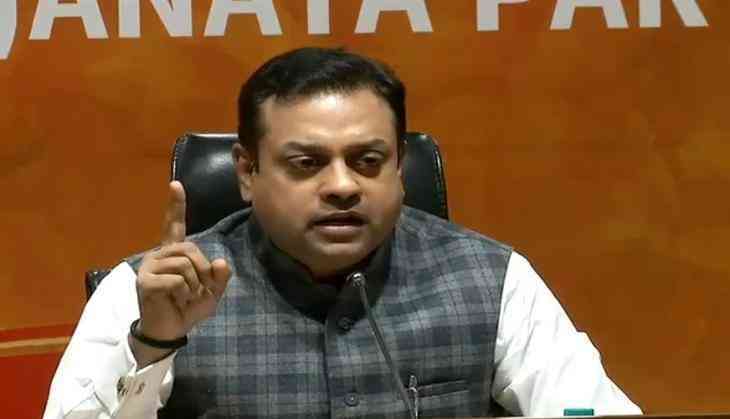 Posts and news are doing rounds on the social media claiming Sambit Patra, the national spokesperson of the BJP, hass been removed from the post by the party. Although, the BJP has certainly appointed former cabinet minister Rajeev Pratap Rudy as their new official spokesperson and thereafter, some websites started claiming that Sambit Patra has been removed from the post as he was not be seen on any news channels in the recent times. 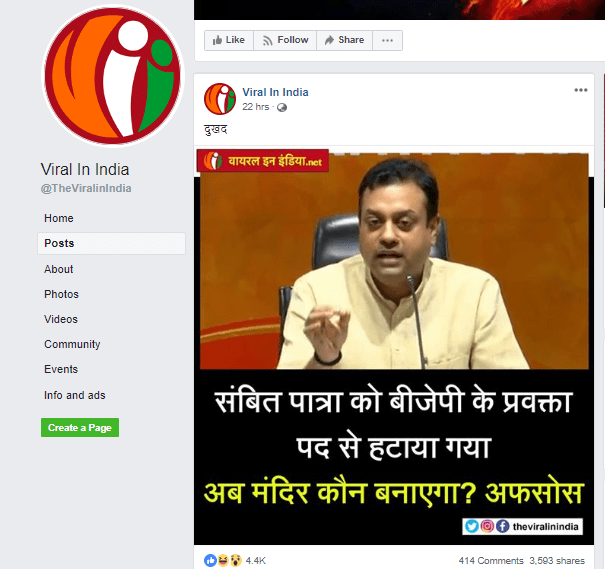 A Facebook page named Viral in India shared a post claiming that Sambit Patra was removed and they wrote in the post that “Sambit Patra was removed from the post of BJP spokesperson. Now who will get the temple made? Disappointed,” which had received more than 4,000 shares and 5,000 likes. 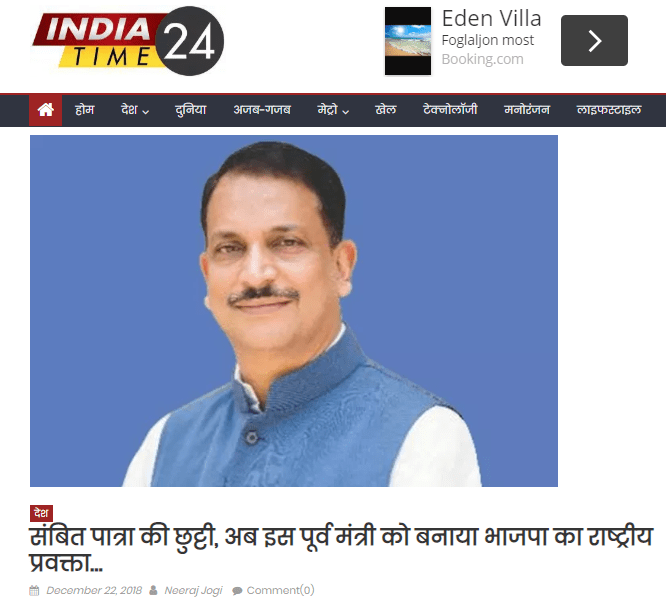 Even, a news website named ‘India Time 24’ had shared a similar article where the line said that Sambit Patra has been removed and in his place, Rajeev Pratap Rudy has taken over as the official national spokesperson. The claims about Sambit Patra, being removed, is false and its the fake news which is getting propagated on social media as the official website of the BJP still lists 10 official spokesperson for the party, which includes Sambit Patra. Prateek Sinha led Alt News had contacted Sambit Patra and he said that he hold the position of national spokesperson and is a member of the BJP in the same capacity. Sambit Patra wouldn't be doing party press briefings anymore. BJP has realised that Mr Patra is harming party's image and people don’t take him seriously.